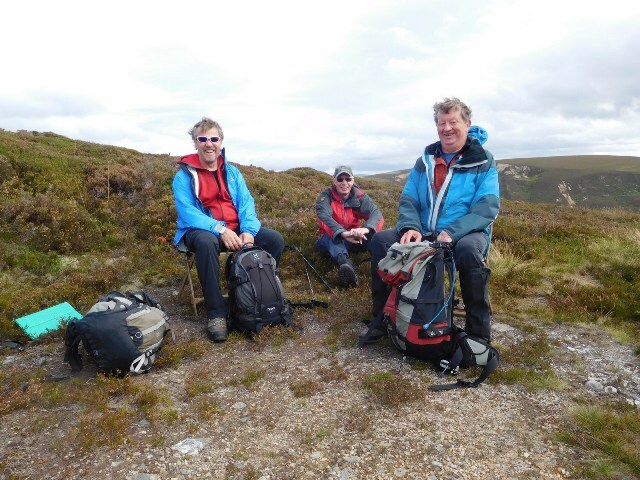 The September walk was in an area not visited by the club before and proved to be a popular outing with 38 walking on the day. 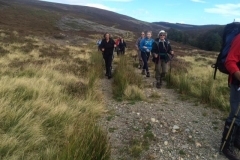 The group on the shorter route set off from Bridge of Brown on the path beside Allt Iomadaidh and on to the estate property at Fae. 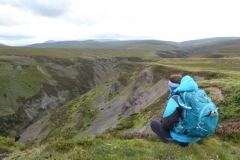 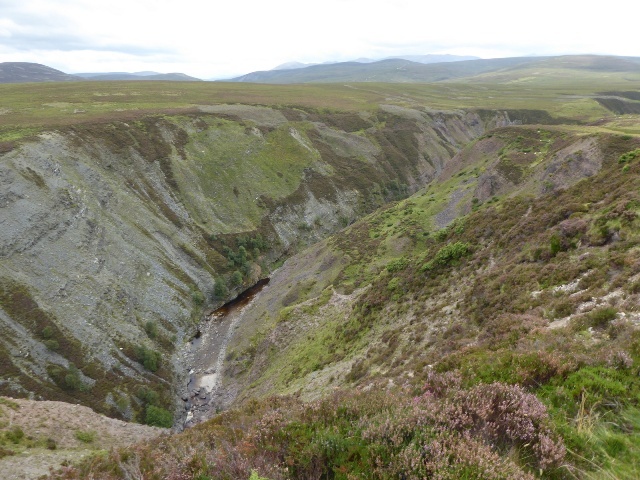 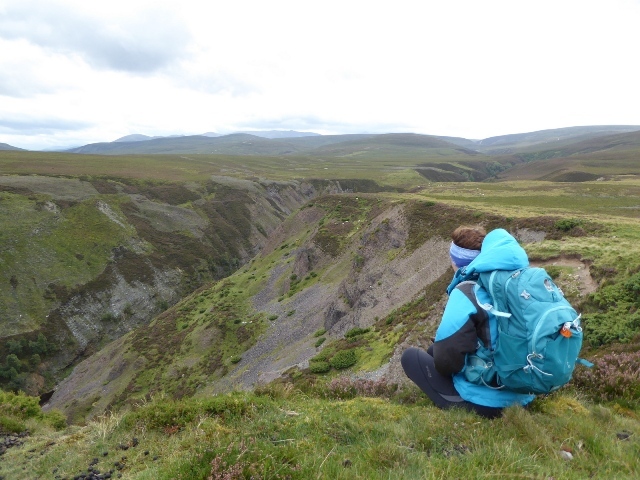 Then east on track to Ailnack Gorge (a most unusual feature) and via Delnabo to Tomintoul. 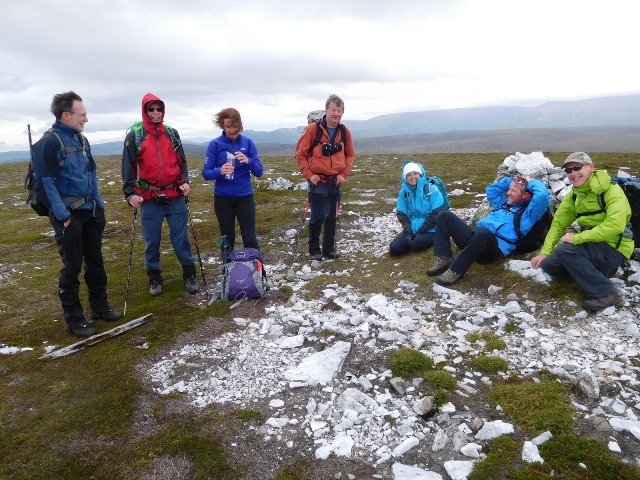 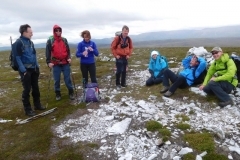 The two groups on the longer route set off from Dorback Lodge to the top of a very windy Geal Charn before dropping down to the Ailnack Water at Ca-du Ford. 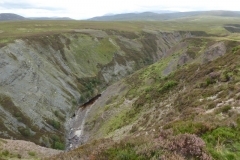 This section was not suited to those with vertigo but was safely navigated by all and with some relief the main track along Ailnack Gorge was reached. 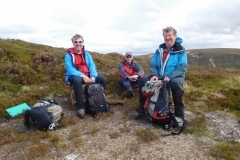 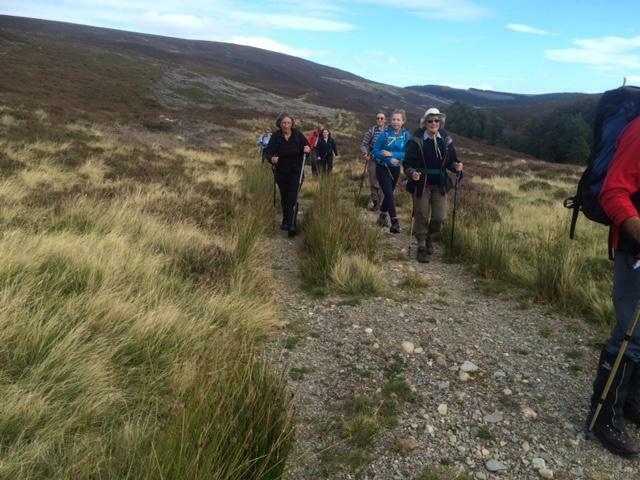 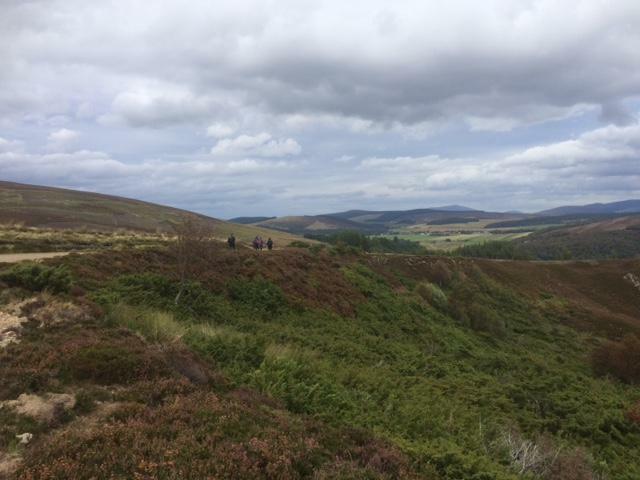 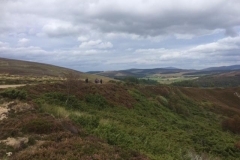 After admiring the views the group set off on the final section to Tomintoul for very welcome refreshments.